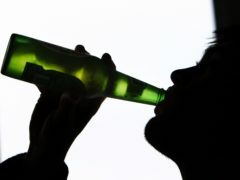 Moderate alcohol use can contribute to a diet with better results for memory skills in middle age, research has showed. A councillor has blasted the local authority’s alcohol overprovision policy. More than 200 litres of suspected illegal alcohol has been seized by police in Tayside. Less then a fifth of people in Scotland are aware of the country’s recommended alcohol limits, it has emerged. A social responsibility levy on stores selling alcohol could raise more than £100 million a year to help tackle Scotland’s “public health emergency”, Labour’s Monica Lennon has said. Children as young as 13 say they drank alcohol in the last 30 days in Will County, according to the latest Illinois Youth Survey. Minimum pricing for alcohol should be raised to 60p per unit in Scotland, the Liberal Democrats have suggested. A beer campaign group has slammed council plans to prevent pubs being built outside the city centre. Supermarket giant Tesco has avoided having an application to sell more booze at two city stores denied – by making a last-minute offer to reduce its alcohol capacity elsewhere. Almost 1.2 million hospital admissions may have been linked to alcohol last year, new figures show.